Videos are great, as they add more value to your content. Embedding videos in your content can easily be the most efficient way of engaging more audience to your site. 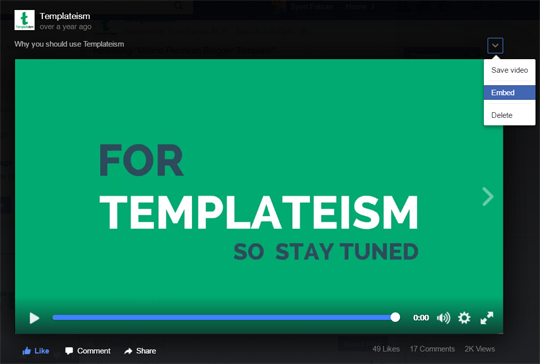 Recently, one of our user asked us that how to embed Facebook videos in Blogger. Luckily, Facebook provides us the freedom to embed any videos to any site but by providing proper credits to the video author. 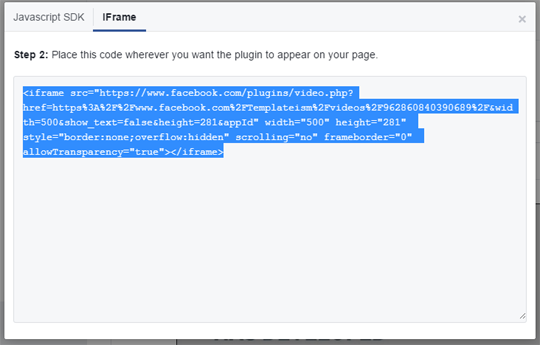 Therefore today in this article, we will show you How to easily embed Facebook Videos in Blogger. There are two major ways through which you can embed Facebook videos on your blogger site. We let you decide which one is more simple to follow and remember. The very first thing you need to do is go to Facebook.com and open the video that you would like to embed on your Blogger blog. After opening up the video on Facebook, all we need to do is to look for the embed code. 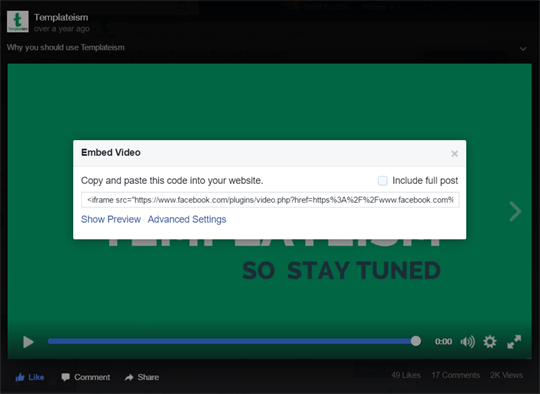 Select "Embed" and it will provide you the embed code of the Facebook video. Now copy the embed code, and go to Blogger >> Add a New Post >> HTML Tab >> Paste your code in the HTML Editor. That's it, Publish your post or preview your post to see the Facebook Video embedded on your site. In the "URL of Video" text box, paste the video URL. This method also provides a lot of customization options like you can change the width of the video according to your liking. If you want you can check the box right next to "Include full post" to include the description of your video. Once you are done with customizing the video, press "Get Code". Go to Blogger >> Add a New Post >> HTML Tab >> Paste your code in the HTML Editor. 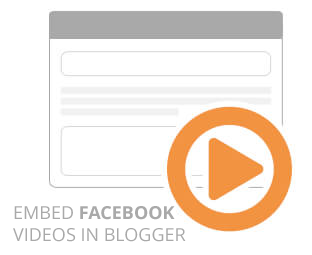 We hope this tutorial has helped you in learning how to embed Facebook Videos in blogger. 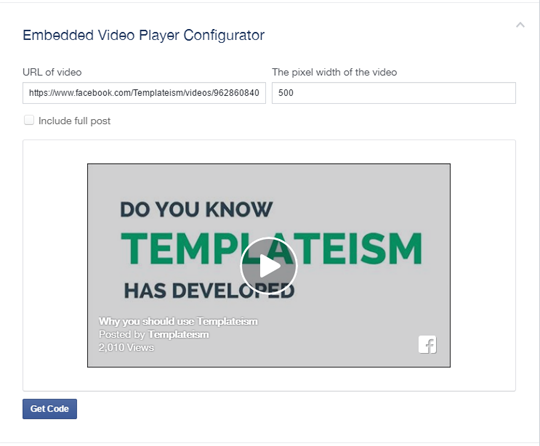 Let us know what do you think about embedding Facebook Videos? Will you replace YouTube embedded videos with Facebook? Share your opinions in comments.